Sermon preached on 1 Samuel 28:3-25 by Rev. 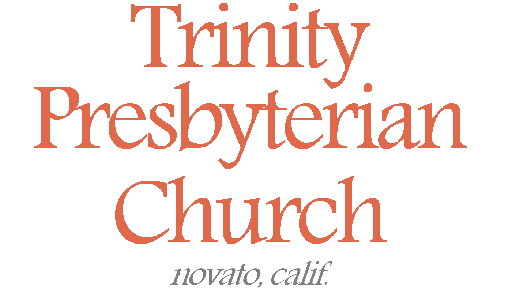 W. Reid Hankins during the Morning Worship Service at Trinity Presbyterian Church (OPC) on 10/4/2015 in Novato, CA. What do you do when you hit rock bottom? What do you do when you hit rock bottom because of your sin? This is a question Saul faces in today’s passage. It’s a question that unbelievers generally will face in one way or another: when either their end is in site, or they are faced with some seemingly insurmountable problem in their life because of their sin. What does someone do in that situation? When God confronts you with how you have been living in rebellion against him, and everything either falls apart in your life, or you just see that your death is imminent. What should you do in that situation if you are unbeliever? And though it’s slightly different, Christians can also face similar challenges. Though a true believer is never going to lose their salvation, God can chastise us when there is sin in our life that has been left undealt with. Should God bring that chastisement to us, it can sometimes be really tough. Sometimes it comes as the natural consequences of your sin. If you haven’t been following God’s word in some particular way in your life, it can have consequences in your life. And when those consequences come to bear, that can be God’s chastisement. Sometimes that chastisement can be very tough to receive. But what do you do as a Christian when that comes to bear upon you? This seems to be an application that comes from this passage, and we will think more about this today as we work through this text. So let’s begin then with this idea about Saul hitting rock bottom. Look with me at verses 4 and 5. The Philistines are gathering for a huge battle against Israel (you might remember from last chapter that this was the battle that David was asked by the Achish to fight in.) And so as the Philistines gather for battle, Saul responds by gathering the Israelite army. But verse 5 shows that Saul is scared. He is full of fear. It says that his heart is trembling. Remember, Saul knows that God has rejected him. He’s been told that. Saul has been acting scared for a long time, trying to pursue David, for the same reason; Saul’s afraid to lose his kingdom to David. Well, now, faced with this large threat from the Philistines, the sense you get is that Saul is afraid that he sees the handwriting on the wall, so to speak. In other words, it seems Saul thinks this might be it. And so what does he do? When he is hitting rock bottom? Well, at first he seems to make some good effort here. In verse 6 it says he tried to inquire of the LORD. And yet it says that God did not answer him. Not by receiving a dream — at that time, sometimes God’s people would receive a dream as a form of revelation. Nor by the Urim — which the priests of the LORD would have used to inquire of God — which makes you wonder if that was because he had killed off all the priests. Remember, one priest escaped from Nob and came to David and was inquiring of God for David, but I would imagine that Saul doesn’t even have any priests at this point to inquire of God. And then it also says that he didn’t receive an answer back from God via the prophets, and we are reminded that the passage started out by reminding us that Samuel the prophet had died. And so Saul attempts to inquire of God, but he does not receive an answer. I’d like to point out here that it doesn’t say that Saul repented of his sin and cried out in sorrow to God for forgiveness and grace. It instead acts like Saul just tries to inquire of the LORD, almost as if completely disregarding the broken state of his relationship with God. And so what a contrast. We saw back in like chapter 23 how effective David was because he could inquire of God and get an answer. Here, however, Saul gets no answer from God. The difference is so telling of Saul’s relationship with God, and so significant to his troubles. Scripture is clear, that those who are not in a right relationship with God should not expect God to hear their prayers. An interesting slogan has been repeated twice in Saul’s life. It was the question, “Is Saul also among the prophets.” Well, we see the answer very clearly now. No. He is at the end of his life. He is at rock bottom. He is without a Word from the LORD concerning his circumstances. Proverbs 29:18, “Where there is no vision, the people perish.” It’s speaking there of prophetic vision. In other words, without revelation from God, the people are not going to be well. Saul rightly understands that he needs this here. But as he seeks it, he finds nothing but silence. So what does Saul do? Well, this is where things turn from bad to worse. Being at rock bottom, seeing that his end might be in sight, wanting to hear from God but receiving nothing, he goes to the witch at endor for help. By the way, she’s actually not a witch, but a medium or a spiritist, but that’s how she is commonly known as. And so here we see Saul’s religious perversion and even hypocrisy that is so characteristic of him. This is now our second point to consider. At rock bottom, after receiving silence from the LORD, he goes to this medium and spiritist. And when we see this, we see really what is really Saul’s repeated and common spiritual problem. He has on the one hand some pursuit for the real religion, but seem to keep finding ways to pervert it in some horrible way. Let’s look at some of this religious perversion then. We note first then an important detail here. According to verse 3, Saul had previously put the mediums and spiritists out of the land. Let us acknowledge that as a king, that seems like a good thing for him to do. What is a medium or a spiritist? Well, another word for them is a necromancer. They are someone who using some kind of evil art claims to conjure spirits from the dead so that they can speak to people alive on earth. Why was it good for Saul to expel them from the land? Because God’s word in many places forbids the practice of necromancy. Leviticus 19:31 “Do not turn to mediums or necromancers; do not seek them out, and so make yourselves unclean by them: I am the LORD your God.” Leviticus 20:6 “If a person turns to mediums and necromancers, whoring after them, I will set my face against that person and will cut him off from among his people.” Many other passages could be consulted. This kind of black magic and witchcraft is forbidden by God, and declared to be evil. And so it was good for Saul to not allow them in Israel. It’s very much what a godly king should do for Israel. Here is where we see Saul doing something right in terms of the one true religion. And yet this same Saul, who kicked them out the land, then goes to one! This is religious perversion and hypocrisy and it is a great evil. Now, Saul’s desperation is shown here. And yet his foolishness is seen too. If you can’t get God to speak to you in the right channels, why do you think this would help the matter? Now I have to pause at this point and bring up the fact that this incident with the witch at Endor is a bit baffling. It’s baffling because of the questions it raises. Is this evil witch at Endor actually able to summon souls from the dead, let alone a man of God like Samuel? Well, that doesn’t seem believable. Some have been so surprised by this passage, that they suggest that the woman is conning Saul into thinking she is channeling the spirit of Samuel. Of course the passage doesn’t present it that way. It presents it that this is really Samuel speaking. The counter argument is that this is just describing it from Saul’s vantage point, who was really convinced by her con job. But I am not convinced by that explanation. The text not only presents this as Samuel actually speaking, but everything Samuel says here seems like exactly what you would expect him to be saying. And not only that, but Samuel even prophesies that tomorrow Saul and his sons will die, and this indeed does come to pass. One of the tests of a real prophet is if there words come to pass, and Samuel passes that test here. And so here’s what I think is going on here. I don’t think a medium or spiritist is going to normally be able to call Samuel back from the dead to speak like this. Rather, this seems to be an out of the ordinary work of God where God so chooses to have this happen like this. The fact that God works like this only serves to further confirm the Saul’s condemnation. One thing in the text that might suggest that this was some extraordinary allowance of God is verse 12. When the woman first sees Samuel, she cries out. She seems startled. It’s likely that this was not her normal experience when she did her séances. And so I think this is the best take on the evidence shown in this passage. This is a special act of God that he allows Samuel to talk through this woman here. It’s not saying that this was a power inherent to her or any other medium or spiritist. But God chooses to speak in this out of the ordinary way, just like how he chose at one point to speak through a donkey, or how he chose to put prophetic words of blessing to Israel in the mouth of the evil pagan prophet Balaaam. God in his sovereignty sometimes speaks in out of the ordinary venues. But just as we don’t therefore start going to donkeys for spiritual advice or evil pagan prophets like Balaam, so this here does not legitimize in any way the use of mediums or spiritists. Rather, as we will continue to see, this event only further confirms that we should not go to them. So with that understanding of this witch at Endor, let me bring us back to the point of our second point. We should see that Saul’s going to this woman at Endor is really just confirmation of Saul’s evil and his rejection. It really reflects the core spiritual issue with Saul. Time and again, we see that Saul perverts the true religion. At one point he is doing something in line with the true faith, and then moments later does something so opposed to it. For Saul to kick out all the mediums and spiritists and then for him to go see one, is just so typical for him; his religious perversion and hypocrisy. How clearly we see this same thing in verse 10, too. When the woman is scared to work her evil arts, Saul swears to her in the name of Yahweh, that she will not be punished for this. How can you not see the irony and blatant contradiction of that — swearing in the name of the one true God that it is okay for her to practice such black magic. That is a great religious perversion and hypocrisy right there. And so this is so typical of Saul. He’s the guy who one moment is blessing his servants in the name of Yahweh, and the next moment ordering the death of the priests of Yahweh. He’s the one wants to give a pre-battle sacrifice to God, but won’t wait until the authorized priest comes to do, and presumptuously instead offers it himself. He’s the one who when given a mission to obliterate the Amelekites partially obeys, but does not fully obey the instructions given to him. And he seems to think in such cases that he was actually acting in the right. And so how very sad for Saul that he seems to think himself a practitioner of the true religion, but really repeatedly is a perverter of the true religion. And it tends to be his presumption to think that he can worship God on his own terms, instead of God’s. Just like here. He doesn’t get the answer from God that he wants, so he violates God’s laws to try to get divine revelation from God, but through a medium. What a perversion of true religion. And yet amazingly God answered Saul here through this medium. But of course the answer for him was not good. And so at this point, all of Samuel’s words are about the past history. Saul wanted to inquire to God about the future, and Samuel reminds him why he hasn’t gotten an answer. Because there really is nothing more to say. Saul knows what the problem was. Samuel reminds him of this. But then Samuel does proceed to give him this one new piece of information. Surely, it was not what Saul wanted to here. But it does confirm and seal Saul’s fate. Verse 19, tomorrow will be a huge defeat for Israel, and Saul and his sons will die. As Saul suspected, he really was at rock bottom, and his end really was at hand. Maybe what summarizes Samuel’s words up best here is verse 16. Verse 16, “Then Samuel said: ‘Why then do you ask me, seeing the LORD has departed from you and has become your enemy? '” Here is Saul’s problem. It’s why God didn’t answer him. It explains why the kingdom is being taken from him. It is related to why he will die in battle the next day. Saul is God’s enemy. And if you need further proof that Saul is God’s enemy, its seen in this passage. If we and even Saul needed one final confirmation, it’s right here. Remember, how evil it was for Saul to not fully obey God when he ordered him about the Amalekites? Remember how that’s what caused God to reject him as king. Well, listen to what Samuel told him back then about how evil it was that Saul hadn’t fully obeyed God. 1 Samuel 15:23, Samuel told Saul this about his sin, “For rebellion is as the sin of divination, and presumption is as iniquity and idolatry. Because you have rejected the word of the LORD, he has also rejected you from being king.” Did you catch that? Back then Samuel said that the sin that got Saul rejected is like as evil as divination. Well, that’s what Saul’s doing here. This is “divination” through this witch at Endor. So, Saul in this final sin is doing something as evil as the sin that got him rejected as king in the first place. So it is so fitting that Saul, in his apparent desire for insight from God, actually confirms his wickedness and further confirms the justice of God in putting this verdict on him. And this is how the history books record it. 1 Chronicles 10:13 says, “So Saul died for his breach of faith. He broke faith with the LORD in that he did not keep the command of the LORD, and also consulted a medium, seeking guidance. In other words, the record there in 1 Chronicles puts this evil of consulting a medium on par with his original infraction of not obeying God’s command concerning the Amalekites. So do you see the whole point here? When Saul hits rock bottom, and he senses that his end is at hand, he does not do what he should do. He does not genuinely repent and cry to God for mercy. Rather, he ultimately doubles down on his sin by going to a medium, even when he clearly knew that God forbid such. Doubling down on your evil is the wrong response when you hit wrong bottom because of your sin. So then, how should someone respond when they hit rock bottom because of their sin? Well, the answer is pretty simple. Repent! Think of Jonah, for example. After he ran away from God’s command, trying to flee to Tarshish, it ended him up on the bottom of the sea. But as he literally hit rock bottom, he prayed to God, and God sent a fish to save him. And even a wicked king like Manasseh, when he hit rock bottom and suffered badly for his sin, humbled himself and repented and received grace from God. And so if only Saul had truly repented and sought to be restored to the LORD. Instead, Saul only made clear here at his end how much he was an enemy to God. And so I urge all who are here today: if you have been living as an enemy of God, and have maybe even hit rock bottom because of your sin, there is a way of salvation. It’s in Jesus Christ. God clearly offers even enemies forgiveness through the cross of Jesus Christ. Romans 5:10 says, “For if when we were enemies we were reconciled to God through the death of His Son, much more, having been reconciled, we shall be saved by His life.” In other words, God sent Jesus to die on the cross for us, even while we were still his enemies. That’s how amazing God’s grace is. God has shown love to enemies, that they might be saved, and be enemies no longer. And that’s the hope that speaks to this dark chapter. Saul set himself as an enemy to God by his willful disobedience. Yet we are reminded again today that there is hope even for the enemies of the LORD. Sadly it was not the case for Saul, but it could yet be for you — I speak to those who are not yet Christians. In Christ, you can be forgiven. Humble yourself, repent, and turn to the LORD in faith. If you are not a Christian, don’t ignore this warning any longer. Turn to Christ, find forgiveness, and be saved. And in a similar way, I appeal to the Christians here. The application is still similar to us. When we find that our sin has brought us down, turn from it unto Christ. If God brings chastisement to you because of your sin, then repent and return to him. Don’t not become further entrenched in. Don’t dig your heals in. Just give it up by the grace of God and find forgiveness and grace and healing. Brothers and sisters, I leave us with one final application for today. Beware false acts of religion even if you think you got something godly from them. Here, Saul got truth from Samuel, but it was still a great sin what Saul did to get it. The end doesn’t justify the means. A silly example for today might be like how a Christian might open a fortune cookie and find some message that really helps them. They might see that as something from God, but that doesn’t mean God wants you to seek him via fortune cookies; of course not! Though here is a more common example. Today too many Christians have bought into their Christianity a type of prayer called “contemplative prayer”. It’s sometimes also called listening prayer. It’s people quieting themselves and waiting for God to speak to them. But the Bible does not teach such prayer. It’s just not in there. But this is the problem. We can want to know God on our own terms. If listening prayer were legitimate, then sure that would be great. But what tends to happen is that people who practice this find that they believe God has impressed something upon them during this so-called listening prayer. They think it a good message from God and go and act upon it. It often becomes a primary way that such people seek guidance in their life. And yet I would submit to you that this is another sort of perversion of true religion. Instead, let us pray the way God teaches us to pray. And let us find revelation from God through his Holy Spirit teaching us through the Bible. Find guidance for your life, not through witches or mediums or spiritists. But in the Word and in prayer as taught in the Bible. Trust in these things God has given us for guidance and growth. Don’t invent new things. The things God has given us — they are enough. Let us hold fast to the true biblical religion. Amen.